When designing a barrier-free home to accommodate the needs of a person using a wheelchair, the floor space should be more spacious to allow the individual independently accomplish most of the tasks. Every square foot in the home counts. If you are designing the home, you want to make sure that interior and outside spaces can cater for a person with mobility restrictions. A building site that has even terrain will facilitate enjoyment and safety of the wheelchair user when accessing the backyard, gardens, and other outdoor spaces. 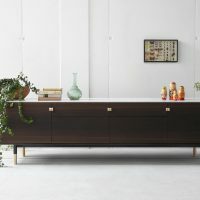 In the design work of the home, there are critical areas that you should focus on particularly those that are most accessed by a wheelchair user. A barrier-free home needs to have doors that offer maximum convenience and allows the wheelchair to pass through and turn around without ease. A 3 feet wide doorway can accommodate most wheelchairs. In areas where there is frequent traffic, for example, from the kitchen to the dining room, you need to have extra wide passageway that is 4 feet. Again, no need to have a door in the wider passageways to allow the wheelchair to easily maneuver the space. Using pocket doors saves valuable space that makes the wheelchair move around easily. 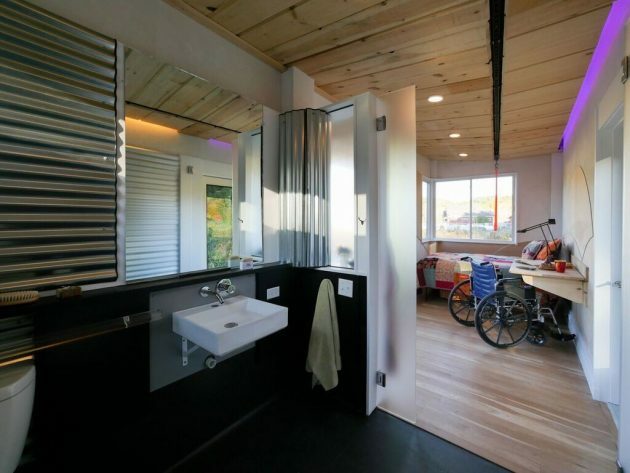 A bathrooms is an important space in the home and it should be designed to offer sufficient space for the wheelchair. Having a wall-hung countertop that has a height of about 30 inches can help the chair user easily access it. Medicine cabinets, soap dishes, and toothbrush holders need to be fitted at height and locations convenient and functional for wheelchair users. Many wheelchair users opt for roll-in showers to allow speed and handiness when bathing. The dimensions for the roll-in shower can be about 4 feet wide and 5 feet long. Handheld showers may be an alternative to having low positioned shower arms. It is important that you avoid rugs and carpets in the bathroom floor. 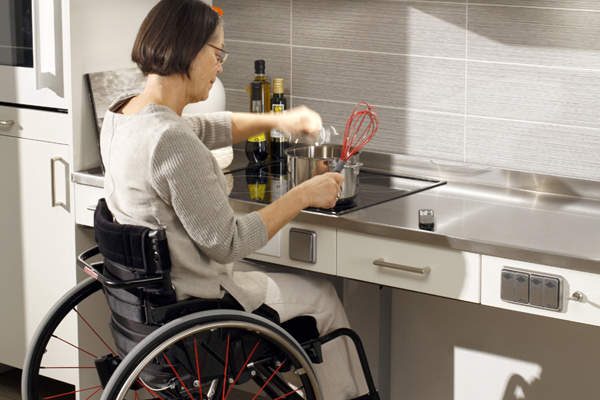 A wheelchair user that is involved with food preparation and dishwashing requires some basic kitchen space features to ensure proper functionality and movement. The countertops can be positioned at a height of about 32 inches or less. The space underneath the cooktop should be open to allow the wheelchair pull under. The sink areas also needs to be open underneath so that the chair will easily roll under to allow the individual to reach water controls, wash dishes, and access the countertop. Installing a firm, level floor allows easy wheelchair maneuverability. 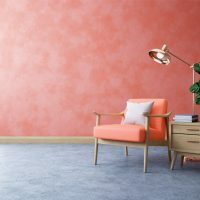 You can have floors made of materials like hardwood, conventional tiles, or vinyl coverings because these offer grip to the chair’s wheels and reduce skidding. 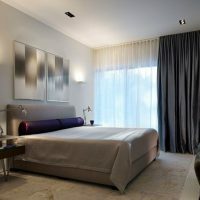 Carpets can be avoided, however, if they have to be used, they need to be tightly woven and without a foam layer underneath to ensure easy wheeling from one area to another. 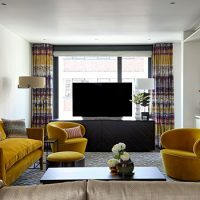 These are some of the locations and spaces in the home that you need to focus on when designing the home to ensure easy accessibility by people who use wheelchairs. 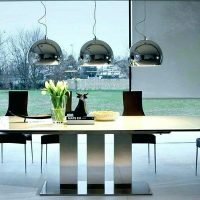 The positions and locations, especially regarding the heights where accessories and fixtures are mounted will also go a long way determining how convenient, easy, and functional the home is to people with mobility problems.